There is ample parking on the public streets surrounding Bon Ami. 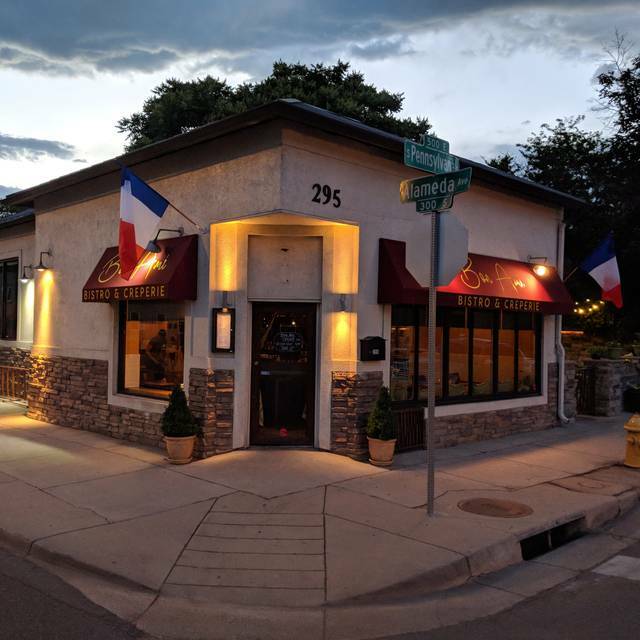 Bon Ami- Bistro and Creperie, a restaurant in the West Washington Park neighborhood of Denver, offers authentic French cuisine in a casual bistro setting. The Dinner is served every night, and Brunch is served on Saturdays and Sundays. 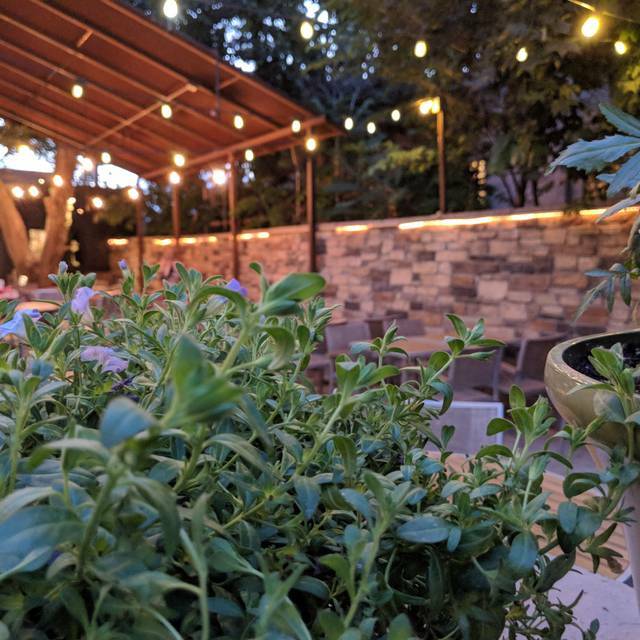 Monday through Friday 4 pm till 6 pm join us for a Happy Hour, enjoy half price on all bottles of wine and stay for our intimate twilight lit patio. Monday - Friday 4pm-6pm. Not valid on: Valentine's Day, Christmas Eve and New Year's Eve. Love this place! Great choices for easter brunch and super friendly service. This restaurant is hands down one of the best restaurants I’ve been to in a long time. The beet and lentil salad was fresh and and lightly tossed with an excellent dressing. The French onion soup came in a large bowl loaded with carmelized onions in a rich broth. Worth the visit. You won’t be disappointed. It was my third time to Bon Ami & another delicious meal. I took a friend to celebrate & she loved it as well. I highly recommend this restaurant! The cocktails are beautiful. The special Brussels sprouts are a must if they are on the menu. Typical French bistro food but done so well. Try the mussels (white) if you are not afraid of garlic and the steak/frites is classicly rendered. Wonderful food and wonderful service! We will definitely return. The food and service are the best. Priced right. We have been several times and will be back. On Sundays, they serve a wonderful brunch. And with the weather warming, it is great to take advantage of their patio... especially at night! Our meal was great, and the prices are reasonable. The place is very cute, and the staff was kind. However the service was incredibly slow - so much so that we wondered whether it is supposed to be “an experience” of unhurried European dining. App took a long time, food took a long time, and the dessert took the longest. The server wasn’t completely MIA between courses, but certainly not around enough to feel attentive either. I would absolutely go back, but not if i had time constraints. And if that is to be part of the restaurant’s charm and appeal (as it is of many French eateries) they need to make that clear. I discovered this little neighborhood gem during restaurant week & this was my second time back! The food is delicious & service was fine, the only issue was a nearby table who were quite loud. It won’t deter me from going back. I can’t wait to go this summer & try their outdoor patio. It was my first visit to Bon Ami and it will not be my last. I live in the area and I will be back. I was celebrating my birthday. We were greeted by hostess and seated promptly. She recognized it was my birthday. 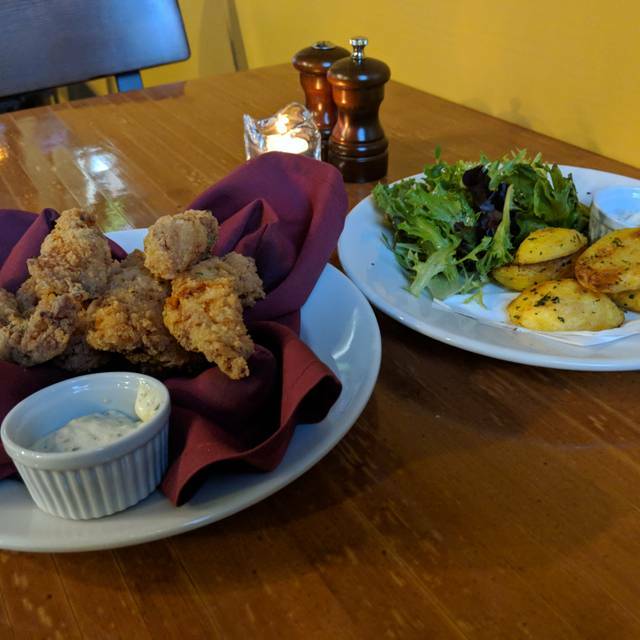 We arrived at 8:30pm and restaurant was very busy which is unusual for Monday night's in this area and I knew we have come to Bon Ami for a great meal and experience. Mussels and warm bread was our treat to start. I had Ratatouille crepe and my boyfriend had Parisian chicken. Both dishes were delicious and served on a hot plates. Chocolate mousse was light and delicious. Excellent food and service. We had mussels and gravlax for appetizers; crepes for main course. Everything was excellent, and it was reasonably priced. The service was first-rate. 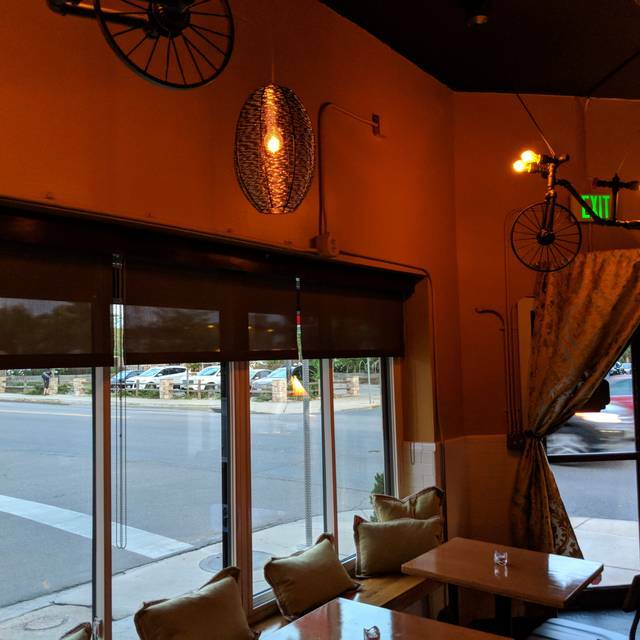 This was our first time dining at Bon Ami, which is my new favorite restaurant in Denver. Everything was great . Delicious food, wonderful service. This place is really cozy. I would recommend it for everybody. Great food! Stopped in for brunch with kids and there were crepes to satisfy everyone. The cottage cheese pancakes were delicious too. I will definitely be back for a date night dinner. Service was great too not the same experience as previous diners. I want to like Bon Ami more. It has good ambiance, is conveniently located, and the prices are reasonable. I just want the food to be a little better. Please take away our plates though when we are finished? We LOVE our server, and we do not blame her. You guys just got super busy/slammed. Maybe a Busser is needed? While the food was fine (OK), the service was so poor that I didn't leave any tip, which is extraordinarily unusual for me. It took a long time to be seated (although the restaurant wasn't full), and our server was incredibly inattentive. She also got my wife's order wrong, which was important because of a shellfish allergy. Then she served me my order and it took forever to get my wife's corrected order, to the extent that I eventually had to pull it off the pass-through myself and serve it to my wife without any intervention by the server (who had disappeared into the kitchen even after seeing the dish sitting there ready to go). Just a terrible service experience and we will never return. This is our “go to” place every time we get home from work too tired to cook. Unlike most restaurants in Denver, this place never varies in quality. The food is delicious, prepared with high quality ingredients every time. We love the rustic pate, the crispy chicken frittes and the crab avocado salad in the summer time. Baiba and Elena run a tight boat! Good menu choices without being overwhelming or contrived. A friend had a crepe - we had chicken and steak frites. All dishes were really good. Just a bit too heavy on the salt for me but that's my thing. The service was very good. The Creme Brulee was great. Great place for a stellar dinner in the neighborhood that won’t break the bank. Besides delicious food, Bon Ami has a delightful, quiet atmosphere where one can actually have a conversation with friends without shouting. Great neighborhood place for a gathering of friends. Food is good, especially roasted Brussel sprout appetizer. Not full the evening we were there so no problem hearing each other which is wonderful! Overall this is a nice place. Clean and comfortable with a trendy vibe, if that's what you're in to. I can't say I loved the food, but it was good. I think the prices for what it is were fine. My review is based on my experience with French cuisine...the seafood crepes weren't bad, but surprisingly fishy tasting. In the future if I'm craving French food I'd probably go in the evening to try the dinner menu rather than brunch fare. As a French person, I was disappointed a bit by the food. I was expecting more of a french style crepe like the one I have had in France specially in Bretagne . Here they were covered with too much sauce, downing in it. 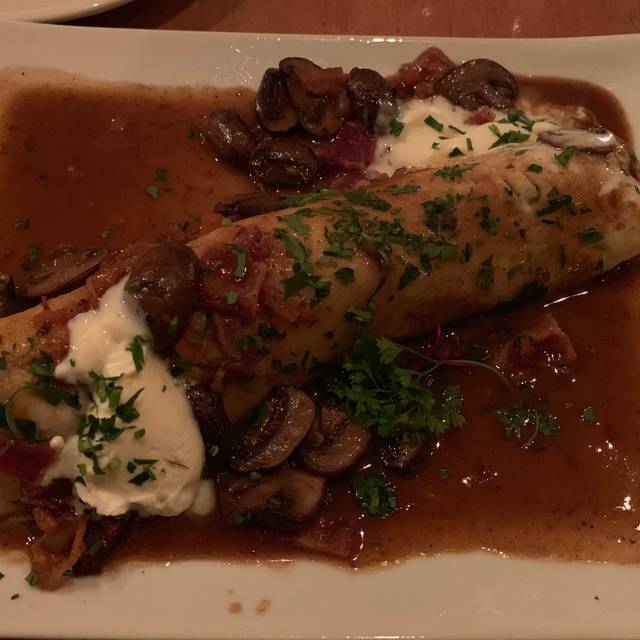 The small crepe disappeared under the sauce. IE: the caramel on the crepe suzette, one could not taste the orange liquor that was supposed to be there? But it is a nice neighborhood corner place. I might come back if it was open for lunch . Also you have no parking which makes it difficult of access. You might want to ask to share your 3 neighbor business parking. On Sunday they were almost all empty yet not permitted to use if going to your place. Good was both delicious, well presented, and unusual. 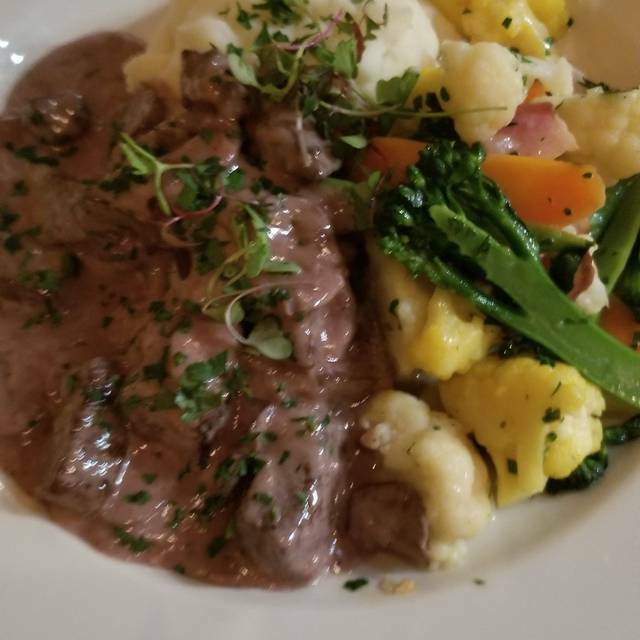 Great - solid French fare - reasonably priced! Best in its class since Le Central. We were happily accommodated when I called to up our table to 4, and when we asked to move to the back where it was a bit quieter. Three of us had crepes and left not a drop on our plates. Also had the evening's special of brussel sprouts with almonds and saba, then ordered a second plate of it when another friend dropped in. Staff happily pulled another chair over for her. We shared 2 luscious desserts, the berry crepe, loaded with berries and whipped cream and the classic chocolate mousse. We shared a bottle of bubbly but the cocktails looked enticing. I want to make this my new neighborhood joint. We went there because we love La Merise and thought it would be fun to have another similar place to enjoy oysters and other French fare. We were scoping it out for a prospective place to bring another couple that enjoys French food. It’s a bit noisy, enough to make conversation between four people difficult. The oysters were good, though served on a plate that’s didn’t have room for the condiments. Caesar salad had disappointing croutons, in contrast to the fabulous twisted ring served at La Merise. It just doesn’t seem that the kitchen has the same devotion to the food. Not terrible, but we probably won’t be back. Went here for Restaurant week and were so glad we tried it. We will definitely be back ! We had a good meal and a very nice evening. We will be back. We had a lovely, delicious dinner. I think our favorite was the pate. It's a beautiful intimate restaurant. We plan to return to try other menu items. The food is outstanding!!! 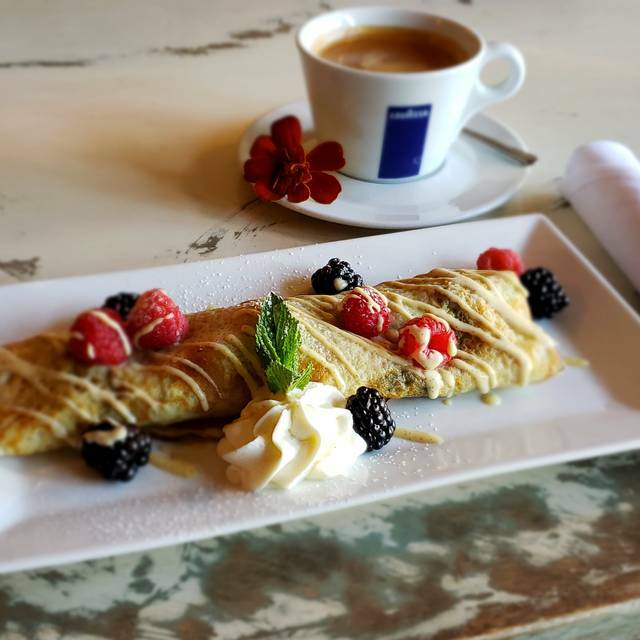 The crepes, oysters, mimosas... all delicious! It felt just like we were back in France. I highly recommend brunch too! 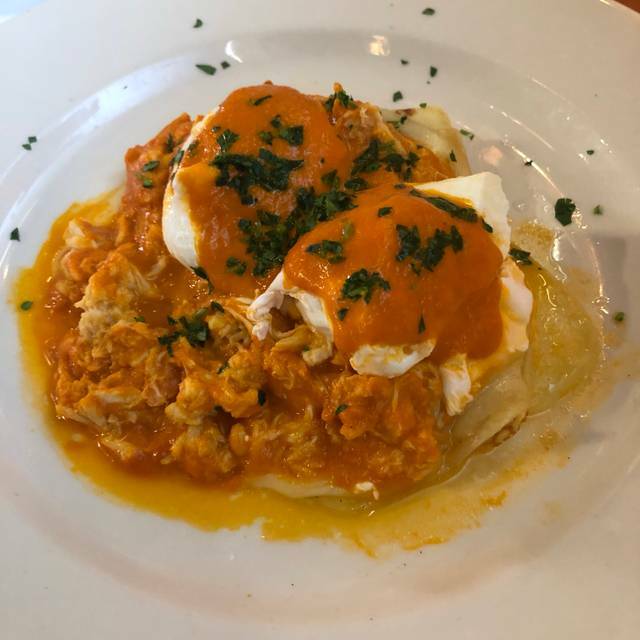 The Crab Benedict crepe was one to write home about. Very nice little French restaurant. Food was rich, but delicious. We went for the 5280 offer although looking at the menu it might have been slightly less expensive to have ordered the same from there. However the food, drinks and service were great and we plan on going back. We selected Bon Ami from the list of 250+ restaurants participating in this year's Denver Restaurant Week and we are very happy we did. It is located in the West Washington Park neighborhood of Denver seating about 75 in an older building that has been nicely re-purposed. Summer patio seats about 30. From a nicely chosen wine list we selected a very nice Chenin Blanc from France (of course) by Marquis de Goulaine Vouvray, from the Loire Valley. It was a 2017 harvest soft, medium-sweet Chenin Blanc with crisp acidity, creamed apple and honey flavors and a clean aftertaste. We began our meal with appetizers. It was the Mussels à la Marinière for Penny (her weakness) which were fresh mussels steamed in a very tasty garlic cream white wine sauce (she even shared the sauce with me). I chose the Pâté Maison, a slice of a terrine of chicken liver mousse flavored with chopped black truffle served with Dijon mustard, cornichons and croustinis. Delicious! For her entré Penny picked the seafood crepe consisting of tiger shrimp, crab meat, asparagus, Gruyère cheese in a crepe smothered in a tomato garlic sauce. Penny thought the sauce may have been a bit overwhelming for the flavors of the dish. Overall very tasty. 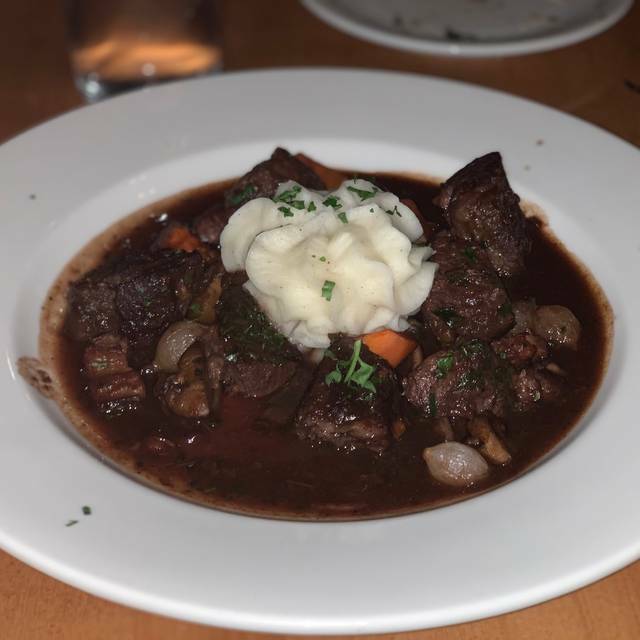 It was Boeuf Bourguignon for me made with of all natural beef braised in red wine and veal demi glace with vegetables, mushrooms, bacon lardons, and herbs. Served with mashed potatoes right in the middle of the dish surrounded by the meat and sauce. Very nice with great flavor; a little bit light on the meat I thought. And finally desert. Chocolate mousse for me; a wonderfully strong chocolate flavor. The Strawberry and Tres Leches Crêpe (Penny's choice) consisted of a crêpe with strawberries, whipped cream, crème fraiche and condensed milk. It was excellent. Service from our waitress was just right. She was very knowledgeable about the menu and wine list and attentive but not intrusive into our evening. And she had a nice sense of humor. Love Bon Ami. 2nd visit in 3 months. Same waitress and she is amazing! Always a good choice for dinner and takimg guests. We like it because it is small, intimate and just the right vibe making you feel you are in popular neighborhood spot with a french flavor! Food was excellent. At the beginning service was slow. We sat for quite a while before the server initially approached our table. We actually considered leaving, but decided to stick it out. Once the server came all went very well after that; she provided very good service. The food was excellent. I will definitely come here again. The restaurant is very small, cozy and a bit loud. You can easily hear conversations at other tables. Don’t be deterred by this as the food is definitely worth a visit, just concentrate on your own conversation and you’ll be fine. It is really a nice neighborhood restaurant. Went during Restaurant Week. The prix fixe meal was wonderful. There were good choices in each category. Definitely recommend it.